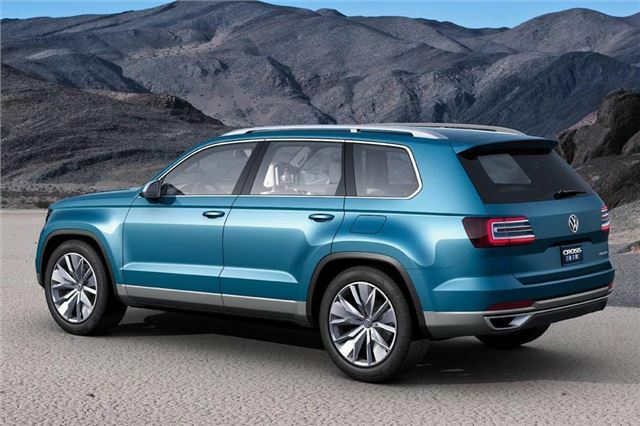 Hybrid 6/7-seater SUV initially for US, Canadian and probably Chinese markets using MQB drivetrain installation. Volkswagen CrossBlue 6/7 seater hybrid SUV unveiled at North American International Auto Show in Detroit, January 2013, developed specifically for the U.S. and Canada, but likely to go on sale in China. The CrossBlue features a plug-in hybrid powertrain that combines a TDI engine with two electric motors, a DSG transmission, and an electric all-wheel-drive system dubbed ‘propshaft by wire’. 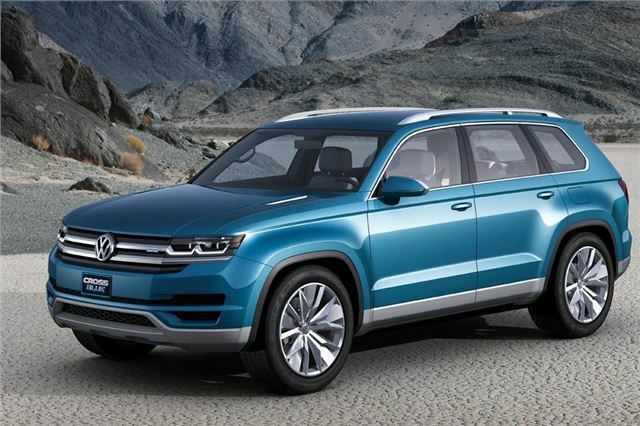 It promises economy of 2.1 litres per 100 kilometres, or 134.5 mpg (Volkswagen’s manufacturer estimated fuel economy rating in US gallons is 89 mpg combined in electric mode and 35 mpg as a hybrid). The CrossBlue was designed in Germany under the leadership of Walter de Silva (Head of Design, Volkswagen Group) and Klaus Bischoff (Head of Design, Volkswagen Brand), in close co-operation with Volkswagen of America.